It’s hard to recall a more grisly complement of newspaper covers than those this morning. Only the FT refrains from showing either Gaddafi’s stumbling last moments or his corpse, whereas the Sun runs with the headline, big and plain: “That’s for Lockerbie”. Just words, perhaps. But these words are some of the firmest that Obama’s adminstration has directed towards Islamabad since the death of Osama Bin Laden. In a news interview last night (do watch it if you’ve got two minutes), Clinton suggested that “something has changed” in the relationship between the two countries, and that Pakistan needs to “make some some serious choices”. That change could well define much of what lies ahead for Afghanistan and the wider region. Have We Hit Rock Bottom Yet? Attending conferences and travelling to them are the two most testing tasks these days for most Pakistanis. The airports tend to give you a full low-down as soon as the ‘green’ passport is presented: I am told by authentic sources that in as friendly country as China it takes twice the time to clear immigration for a Pakistani traveller than for someone with any other passport. Just so that we may place our ‘higher than the Himalayas’ relationship in perspective, I was also informed that there was a daily flight between Delhi and Beijing compared to only two a week between Islamabad and Beijing. The disparity in trade figures between Beijing and Delhi, and Beijing and Islamabad, respectively, are already well-known. Call it anything, size of the economies or economic pragmatism, or whatever, the fact is China and India are unlikely to go to war with a $100 billion stake, keeping the two tied in an interdependent embrace; wish what you may, Pakistan, bosom love ain’t coming to the rescue. That is the new world ‘geconomics’. One thing that always strengthened my hand as an ambassador for Pakistan during the Shaukat Aziz years was the perpetual good news that came out on the economic front from Pakistan. Now there may be more than one opinion about Musharrafian economy, but I have always held, and with some conviction I might add, that economies work on few sound fundamentals and a lot of good sentiment. This last word is key. So if the services sector — telecom, construction, finance — all seemed to be galloping under Shaukat Aziz’s mantra of economic progress, he perhaps understood well the significance of looking dapper and sounding happy. He held the dollar pegged and the stock market boomed: the first was clever policy, the latter sentiment. After all what is in the story of an ‘Incredible’ India — the incredibility indeed of a well-manufactured fable and from there on the critical mass of success takes on. It was famously reported that a particular British chancellor of the Exchequer was singing in the bathroom: the veil of pessimism lifted and the economic sentiment began its own hum. But when you sit on a dredged economy and scooped-out resources there is little that you can offer to the world as hope. Words remain just that, words. Give Hafeez Shaikh something to hum about, and he will hum. The difficulty is he himself remains incapable of carving one. I haven’t heard a sicker pronouncement of Pakistan’s economic predicament than someone quoting to me the likely $12-16 billion flowing in remittances, as the ultimate trigger for turning around our fortunes. There cannot be a darker indictment of our lows. Incapable of generating revenues inside, we hope like hell for the world and the people to resuscitate us from the outside. Even in that, though, madness must have a method. Investments, portfolio or otherwise, flow into congenial environs; some, Hafeez Shaikh will have to conjure, some we, as partners in crime, will have to relent and enable. I am not an economist, and certainly never pretended to be one, but I have been subjected enough to the pains of a few that even I could venture to suggest a course to the hapless finance minister. For instance, capital flight is a growing reality and industry needs an injection of support and sustenance under a dwindling availability of energy. The approaching winter months may just provide some respite from domestic energy consumption, enabling diversion to the industry sector. Where possible, policy measures can enable relief and sectoral benefits to industries that wish to work through the difficult times. That might just sustain the benefits emerging from an export boost last year. Many have tended to qualify the boost in different ways and perhaps each has a point but then how long can you keep a merchant down; there is something called “recess fatigue”, and he must break from it to keep the wheels going. One hopes that a finance minister may recognise such trends and then have the wits to turn them into triggers of rebound. If not, paralysis may just be a more enveloping reality in Islamabad. Agriculture is half policy, half divine. The policy side has seen some attention while divinity is mostly earned. Our erstwhile brothers in East Punjab seem to have hit a good combination and are worth a reflection. So if there is a formula for our finance gurus to follow in the short-term, it must reside around energy, industry and agriculture. Once out of the hole, we can then begin to embellish our societal existence. What will bring back a smile on the finance minister’s face? An enabling environment? A country in war, and a 10-year-old war at that, cannot be given to economic congeniality. We need to wean this country away from war. Seriously taken, the All Parties Conference urgings to ‘give peace a chance’ is a worthy, if catchy slogan, and must find the necessary politico-military resolve. The difficulty in our prevailing discourse is that few are willing to find solace in a political effort alone. As the refrain is that military runs the policy, perhaps that is where one may head. So then, over to General Kayani. With two years to go in his tenure, here are a few things that General Kayani must do: get us out of this war — the lesser the pain the better; shun militancy in all its manifestations — and here the word manifestation to my mind carries all its consequences; and cleanse the military system of this ill-advised and ill-conceived baggage of the yore. We need not depend on the augmenting effect of an irregular effort in enhancing our national agenda. For some time let us simply look inside and avoid external diversions. With General Kayani convinced of such disposition, no arm whatever can practice any part of our rather sad legacy in regional ambitions. I do not know who killed Rabbani and why; I also don’t know if the Pakistani military alone supports the Haqqani network and to what extent, but I do know that defending accusations of Pakistani culpability is becoming a harder task. The time when any such insinuation will stick is when we will have hit rock bottom. I wish we were out of this predicament. I wish to see my country relevant and respected; and, I wish to see a smile on a humming Hafeez Shaikh. Pakistani and US diplomats on Thursday vowed to strengthen their troubled alliance two days after Washington acknowledged for the first time that it is waging “war” against militants in Pakistan. US special envoy, Marc Grossman, on Thursday met Pakistani leaders in Islamabad as US drone strikes killed 10 militants, including a commander in the Haqqani network that the US military has linked to Pakistani intelligence. “We tried to think about the future and way to keep our strategic dialogue going,” Grossman told a joint press conference with Pakistani Foreign Minister Hina Rabbani Khar. “We also talked about how can we continue in a systematic way to identify the interests that we share with Pakistan, and there are many, and then find ways to act on them jointly,” he added. Grossman said they had been preparing for conferences on the future of Afghanistan, in Istanbul next month and in the German city of Bonn in December. US officials openly acknowledge that the relationship with Pakistan is complicated, but say it is important to persevere no less because Pakistan is a key stakeholder in any eventual political settlement in Afghanistan. Khar said both sides would “build on this partnership which is not only important for the two countries but also for the region and the whole world”. On Tuesday, acknowledging for the first time that the US is waging a war in Pakistan, Defense Secretary Leon Panetta described Washington’s relationship with Islamabad as “complicated”. “And admittedly, there are a lot of reasons for that. We are fighting a war in their country,” Panetta said. He said the two countries sharply disagreed over “relations they maintain with some of the militant groups in that country,” a reference to Washington’s demand that Islamabad crack down on the Haqqani network. A covert CIA drone campaign that the US government declines to discuss publicly has seen around 30 missile attacks in Pakistan since American troops killed Osama bin Laden near the capital Islamabad on May 2. Analysis: Pakistan’s Double-Game: Treachery or Strategy? Washington has just about had it withPakistan. For many in America, Islamabad has been nothing short of perfidious since joining a strategic alliance with Washington 10 years ago: selectively cooperating in the war on extremist violence and taking billions of dollars in aid to do the job, while all the time sheltering and supporting Islamist militant groups that fight NATO troops in Afghanistan. Pakistan has angrily denied the charges, but if its critics are right, what could the explanation be for such duplicity? What strategic agendas might be hidden behind this puzzling statecraft? The answer is that Pakistan wants to guarantee for itself a stake in Afghanistan’s political future. It knows that, as U.S. forces gradually withdraw from Afghanistan, ethnic groups will be competing for ascendancy there and other regional powers – from India to China and Iran – will be jostling for a foot in the door. Islamabad’s support for the Taliban movement in the 1990s gives it an outsized influence among Afghanistan’s Pashtuns, who make up about 42 percent of the total population and who maintain close ties with their Pakistani fellow tribesmen. In particular, Pakistan’s powerful military is determined there should be no vacuum in Afghanistan that could be filled by its arch-foe, India. Pakistan has fought three wars with its neighbor since the bloody partition of the subcontinent that led to the creation of the country in 1947, and mutual suspicion still hobbles relations between the two nuclear-armed powers today. In an interview with Reuters on Tuesday, Pakistani Prime Minister Yusuf Raza Gilani – unprompted – complained that Washington’s failure to deal even-handedly with New Delhi and Islamabad was a source of regional instability. Aqil Shah, a South Asia security expert at the Harvard Society of Fellows, said Islamabad’s worst-case scenario would be an Afghanistan controlled or dominated by groups with ties to India, such as the Tajik-dominated Northern Alliance, which it fears would pursue activities hostile to Pakistan. “Ideally, the military would like Afghanistan to become a relatively stable satellite dominated by Islamist Pashtuns,” Shah wrote in a Foreign Affairs article this week. 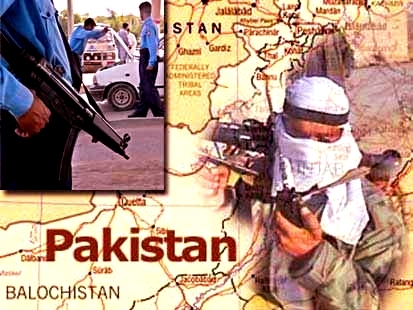 Although Pakistan, an Islamic state, officially abandoned support for the predominantly Pashtun Taliban after the 9/11 attacks on the United States in 2001, elements of the military never made the doctrinal shift. Few doubt that the shadowy intelligence directorate, the Inter-Services Intelligence (ISI), has maintained links to the Taliban that emerged from its support for the Afghan mujahideen during the 1979-1989 Soviet occupation of Afghanistan. Until recently, there appeared to be a grudging acceptance from Washington that this was the inevitable status quo. That was until it emerged in May that al Qaeda leader Osama bin Laden – who was killed in a U.S. Navy SEALs raid – had been hiding out in a Pakistani garrison town just two hours up the road from Islamabad, by some accounts for up to five years. Relations between Pakistan and the United States have been stormy ever since, culminating in a tirade by the outgoing U.S. joint chiefs of staff, Mike Mullen, last week. Mullen described the Haqqani network, the most feared faction among Taliban militants in Afghanistan, as a “veritable arm” of the ISI and accused Islamabad of providing support for the group’s September 13 attack on the U.S. embassy in Kabul. The reaction in Islamabad has been one of stunned outrage. Washington has not gone public with evidence to back its accusation, and Pakistani officials say that contacts with the Haqqani group do not amount to actual support. However, Imran Khan, a Pakistani cricketer-turned-populist-politician, said this week that it was too much to expect that old friends could have become enemies overnight. He told Reuters that, instead of demanding that Pakistan attack the Haqqanis in the mountainous border region of North Waziristan, the United States should use Islamabad’s leverage with the group to bring the Afghan Taliban into negotiations. 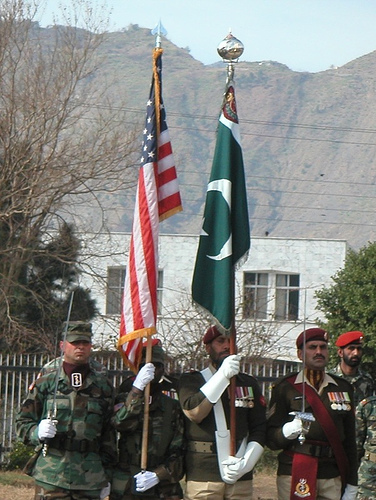 The big risk for the United States in berating Islamabad is that it will exacerbate anti-American sentiment, which already runs deep in Pakistan, and perhaps embolden it further. C. Raja Mohan, senior fellow at New Delhi’s Center for Policy Research, said Pakistan was probably gambling that the United States’ economic crisis and upcoming presidential elections would distract Washington. “The real game is unfolding on the ground with the Americans. The Pakistan army is betting that the United States does not have too many choices and more broadly that the U.S. is on the decline, he said. It is also becoming clear that as Pakistan’s relations with Washington deteriorate, it can fall back into the arms of its “all-weather friend,” China, the energy-hungry giant that is the biggest investor in Afghanistan’s nascent resources sector. In addition, Pakistan has extended a cordial hand to Iran, which also shares a border with Afghanistan. Teheran has been mostly opposed to the Taliban, which is dominated by Sunni Muslims while Iran is predominantly Shi’ite. But Iran’s anti-Americanism is more deep-seated. The supremacy of the military in Pakistan means that Washington has little to gain little from wagging its finger about ties with the Taliban at the civilian government, which is regularly lashed for its incompetence and corruption. Daniel Markey, a senior fellow for South Asia at the U.S. Council on Foreign Relations, said the problem lies with a security establishment that continues to believe that arming and working – actively and passively – with militant groups serves its purposes. The Obama administration isn’t ready to declare the Haqqani group in Pakistan a “foreign terrorist organization” even after Admiral Mike Mullen, chairman of the Joint Chiefs of Staff, said the group attacked the U.S. embassy and American troops in Afghanistan. “We are continuing to review whether to designate” the Haqqani organization, State Department spokeswoman Victoria Nuland said yesterday. Mullen’s declaration in Senate testimony last week that Haqqani operatives acted as a “proxy” for Pakistan’s intelligence service may have further complicated the question. Taking the first step — adding the Haqqani group to the list of terrorist organizations — would lead to demands that Pakistan be declared a state sponsor of terrorism. That would put at risk Pakistan’s cooperation as the U.S. tries to snuff out al-Qaeda’s core and other militants in the country’s tribal areas. For now, the U.S. has designated the Haqqani network’s founder and other leaders. It has made clear to Pakistan that clamping down on the group “is job one, that we want to do it together, and that’s the conversation that we’re having now,” Nuland said. Designating Pakistan a state sponsor of terrorism would put it in the company of only four other countries — Cuba, Iran, Sudan and Syria — and might trigger a nationalist backlash in Pakistan. It would require halting U.S. aid to Pakistan, force the U.S. to oppose World Bank loans to Pakistan, and end cooperation between the two countries in fighting terrorism and trying to stabilize Afghanistan. The administration is under new pressure to designate the Haqqanis a terrorist organization alongside 49 others, including al-Qaeda, Lebanon’s Hezbollah, and Hamas, the Palestinian Islamist group that controls the Gaza Strip. After Mullen testified to the Senate Armed Services Committee, Senator Dianne Feinstein, a California Democrat and chairman of the Senate Intelligence Committee, wrote Secretary of State Hillary Clinton that the Haqqani group “meets the standards for designation” as a terrorist organization. So far, said congressional officials, Clinton hasn’t responded. “I think there’s going to be increasing congressional pressure on them to list the Haqqani network as a foreign terrorist organization,” said Lisa Curtis, a former CIA analyst and now a senior research fellow at the Heritage Foundation policy group in Washington. “If we know that the Haqqani network is behind these major attacks on U.S. interests and we fail to confront them, that is a signal of weakness and it simply invites more attacks,” she said. Nuland and other administration and military officials signaled a reluctance to sanction Pakistan. Pakistani military officials told reporters in Islamabad on Sept. 25 that they had decided not to take action against the Haqqani group because their forces are stretched too thin. If tensions escalated, Pakistan might again, as it did in a previous diplomatic confrontation, cut supply lines to U.S., NATO and Afghan forces in Afghanistan from its port city of Karachi. Alternative land or air routes are more costly and difficult. The Pakistanis, said two U.S. intelligence officials, also might abandon secret agreements that permit unmanned U.S. drones to collect intelligence and attack targets in designated areas of Pakistan. The U.S. already is restricted from operating over the Haqqanis’ suspected base in North Waziristan or the border city of Quetta, home to the main Afghan Taliban group. They also might expel some or all of the classified number of U.S. intelligence officers and special operations forces who are training Pakistani troops and helping target drone attacks, the officials said. Designating the Haqqani network a terrorist organization would do little to stop the group, said Curtis of the Heritage Foundation. The Haqqanis, she said, probably still would be able to garner financial support from their allies in the Persian Gulf region and backing from the Pakistan spy agency, the Directorate of Inter-Services Intelligence, known as ISI. A U.S. designation of the Haqqanis isn’t likely to change Pakistani policy either, said Christine Fair, a Pakistan expert at Georgetown University in Washington. The ISI and the Pakistani military regard the Haqqani network and other militants as allies in their campaign to maintain Pakistani influence in Afghanistan and prevent arch- rival India from getting a toehold on Pakistan’s western border, said Fair and other specialists. “They believe that the Haqqanis would protect Pakistan’s interest in any future setup in Afghanistan,” Curtis said. 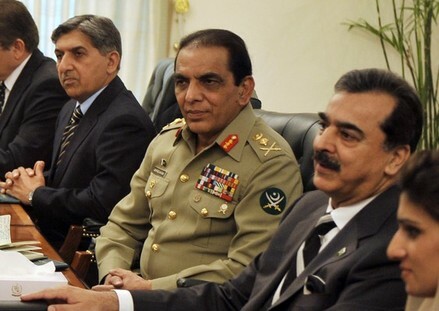 Pakistan’s army chief convened a special meeting of senior commanders Sunday following U.S. allegations that the military’s spy agency helped militants attack American targets in Afghanistan, the army said. The government also summoned home the country’s foreign minister early from a trip to the United States to attend a meeting of all major political parties to discuss the American allegations of support for the militant Haqqani network. Senior Pakistani officials have lashed out against the allegations, accusing the U.S. of trying to make Pakistan a scapegoat for its troubled war in Afghanistan. 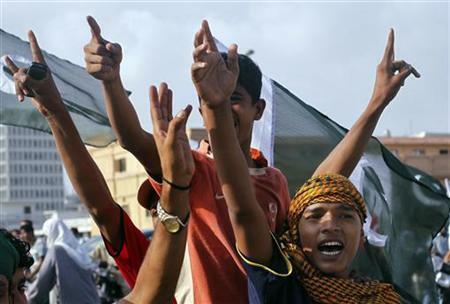 The public confrontation has plunged the already troubled U.S.-Pakistan alliance to new lows. Pakistan’s leaders have shown no indication they plan to act on renewed American demands to attack the Haqqani network in its main base in Pakistan, even at the risk of further conflict with Washington, which has given the country billions in aid. U.S. officials have implied that American forces could carry out unilateral raids inside Pakistan against the Haqqani network, operations that could have explosive implications in a country where anti-American sentiment is widespread. Pakistanis were outraged by the covert U.S. commando raid that killed al-Qaida chief Osama bin Laden in a garrison town not far from Islamabad in May. The U.S. did not tell the Pakistani government about the operation beforehand for fear bin Laden would be tipped off. 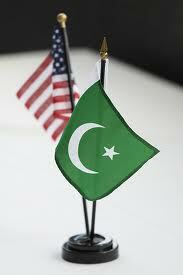 Pakistani Interior Minister Rehman Malik warned the U.S. on Sunday against sending troops into Pakistan. The top U.S. military officer, Adm. Mike Mullen, last week accused Pakistan’s Inter-Services Intelligence agency of supporting Haqqani insurgents in planning and executing a 22-hour assault on the U.S. Embassy in Afghanistan on Sept. 13 as well as a truck bomb that wounded 77 American soldiers days earlier. Pakistan’s army chief, Gen. Ashfaq Pervez Kayani, widely considered the most powerful man in Pakistan, has dismissed the allegations, saying they were baseless and part of a public “blame game” detrimental to peace in Afghanistan. Pakistan army spokesman Maj. Gen. Athar Abbas said Kayani presided over Sunday’s commanders meeting but would not provide detail on the discussions. Gilani slapped down the U.S. allegations in a separate statement issued late Saturday. Pakistan claimed to have severed its ties with Afghan militants after the 9/11 attacks and supported America’s campaign in Afghanistan, but U.S. officials have long suspected it maintained links. The comments by Mullen, who is chairman of the Joint Chiefs of Staff, were the most serious yet accusing Pakistan of militant ties, although he didn’t cite any specific evidence. Despite the seriousness of the U.S. claims, which appear to accuse Pakistan of state-sponsored terrorism, Mullen and other U.S. officials have said Washington needs to keep engaging with Islamabad, a reflection of its limited options in dealing with the country. Washington is also concerned about the danger of further instability in the nuclear-armed state. Mattis also met with the Pakistani military’s chief of staff, Gen. Khalid Wynne, who expressed his concern about “negative statements emanating from the U.S.” and stressed the need to address “the irritants in the relationship,” according to a statement issued by the military. Around half of the U.S. war supplies to Afghanistan are trucked over Pakistani soil, and even as it accuses Islamabad of complicity with Afghan insurgents, Washington knows that it will likely need Islamabad’s cooperation in bringing them to the negotiating table. Gilani also called for greater cooperation. “Let’s avoid mutual recrimination and recommit ourselves to working together for eliminating terrorism and for reconciliation and peace in Afghanistan,” he said.